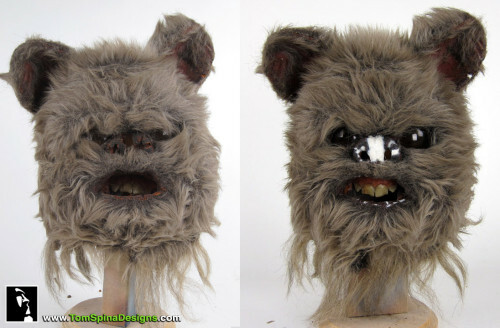 A Return of the Jedi Ewok mask prop restoration. 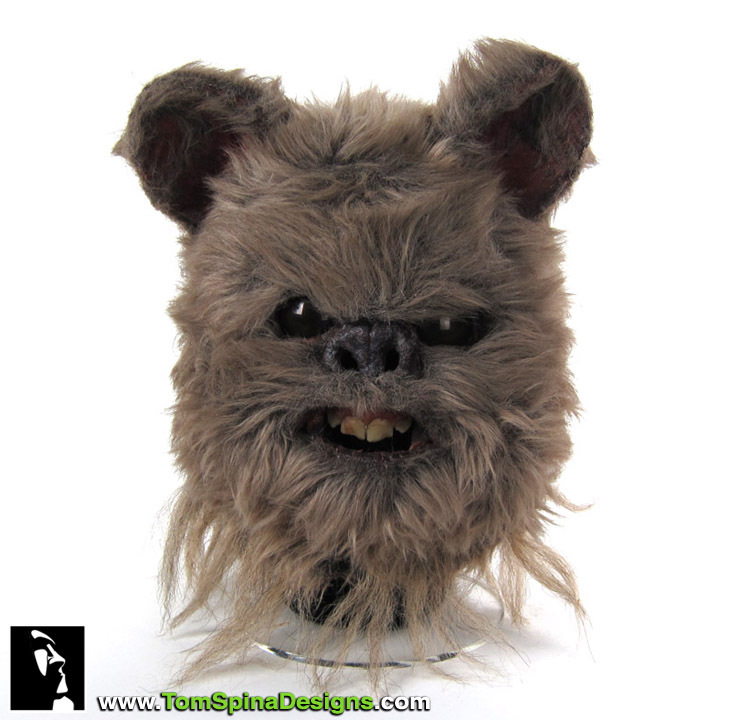 Worn in the 1983 Star Wars sequel, this Return of the Jedi Ewok mask prop came to our studio for restoration. 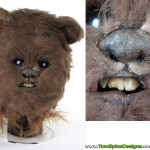 Masks like this movie prop were part of the adorable Ewok costumes worn by the actors in the film. 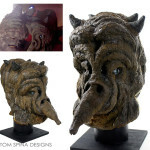 After years of storage, the foam latex became brittle and the damage seen in the “before” images are the result. 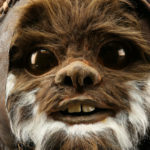 The original ewok movie prop exhibited deterioration of the foam latex face skin around the mask’s lips, nose and ears. We did a bit of structural repair to the mask’s acrylic dental pieces, to hold those in their proper position over time. 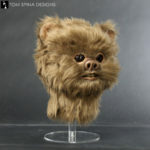 Once those were in place, we carefully patched the nose, lips and ears, using archival materials and careful build up to match the style of Stuart Freeborn’s classic sculpts. 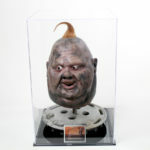 As always when we restore movie props, we kept our work as subtle as possible. When the time came to paint the repairs, we only retouched paint on the areas where we worked, leaving the prop mask as original as possible.